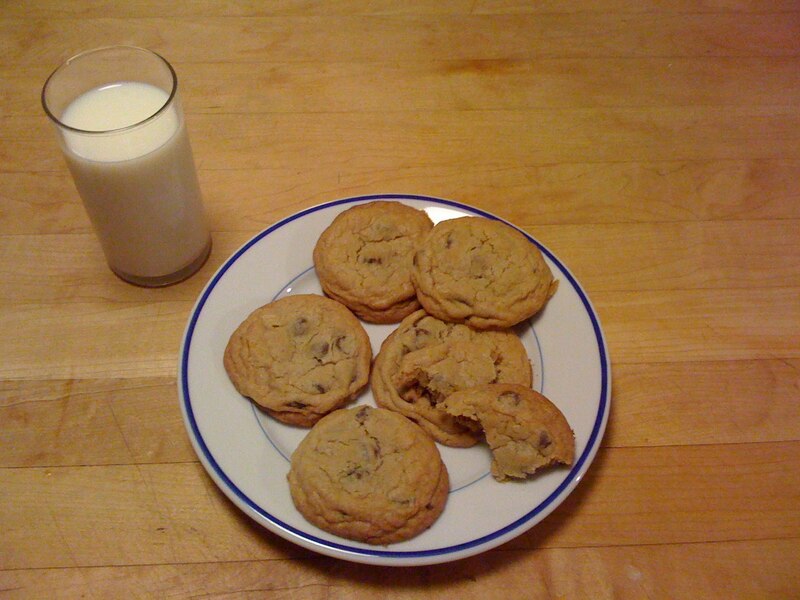 The Key to Perfect Chocolate Chip Cookies | eat. write. smile. 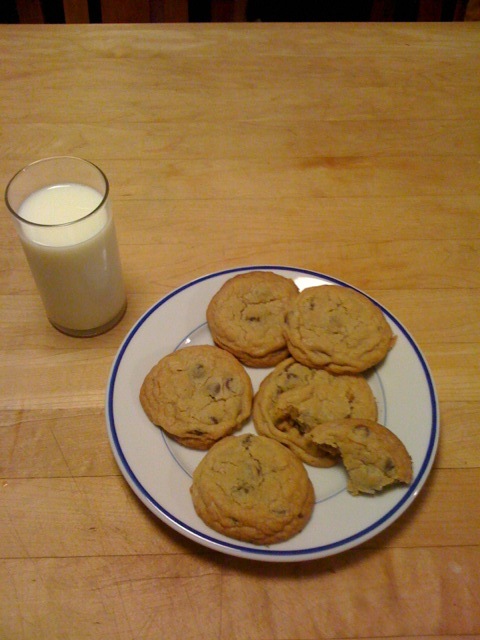 Everybody loves a good chocolate chip cookie; they’re simple to make AND they’re wonderfully delicious. The recipe I’ve been using for years came off the Toll House chocolate chips bag. I love how easy the measurements are with just one stick of butter and one egg. However, recent conversations with Corrie Beezley, a Greystone graduate who now runs her own cookie bakery The Farmer’s Market Pantry, revealed that I’ve been missing two important components in cookie baking: 1) I haven’t been using enough brown sugar, and 2) the cookie dough should be baked from frozen, not room temperature. Following Corrie’s advice, I tweaked my recipe a little. Instead of equal parts brown and white sugars, I upped the brown sugar ratio. I also used room temperature butter and egg, and then froze the scoops of dough before baking. This technique prevents the dough from melting across the pan. Cold butter holds it shape better and produces a taller cookie, rather than the flattened pancake type I’ve struggled with for years. Be patient with first, the butter coming to room temperature and second, the freezing process before baking. By freezing the dough, I finally achieved the moist, chewy cookie I’ve been trying to bake for years. Notice I’m not saying they’re the best EVER- those of us who have been to Wildflour Bakery in Squaw Valley know that would be a tough claim. But this recipe comes from years of tinkering and a few small changes in the method that really make a perfect homemade cookie. 1. Combine the butter, egg, sugars and vanilla until creamy. 2. Mix the remaining ingredients before adding to the butter mixture to insure ingredients are evenly spread. 3. Combine dry ingredients with butter mixture. 4. 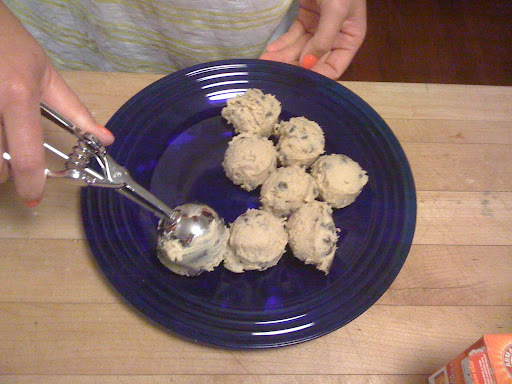 Using an ice cream scoop, make balls of dough on a plate and place in the freezer for at least an hour. Be patient. This step is the crucial part of the recipe. 6. Grease a baking sheet with a little butter, or use a SilPat silicone sheet if you’ve got one. 7. 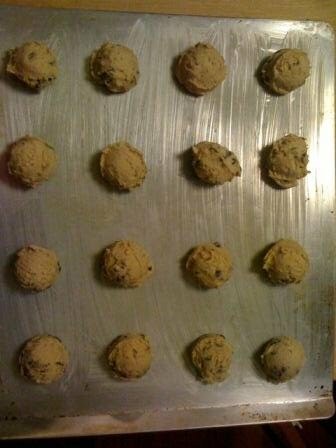 Place the cookies an inch apart on the sheet, and bake for 12 minutes, or until very light golden in color. 8. When the cookies look like they’re a minute or two away from finished, pull them out and allow them to finish cooking on the pan. This technique creates a soft center without over-browning the outside of the cookie. 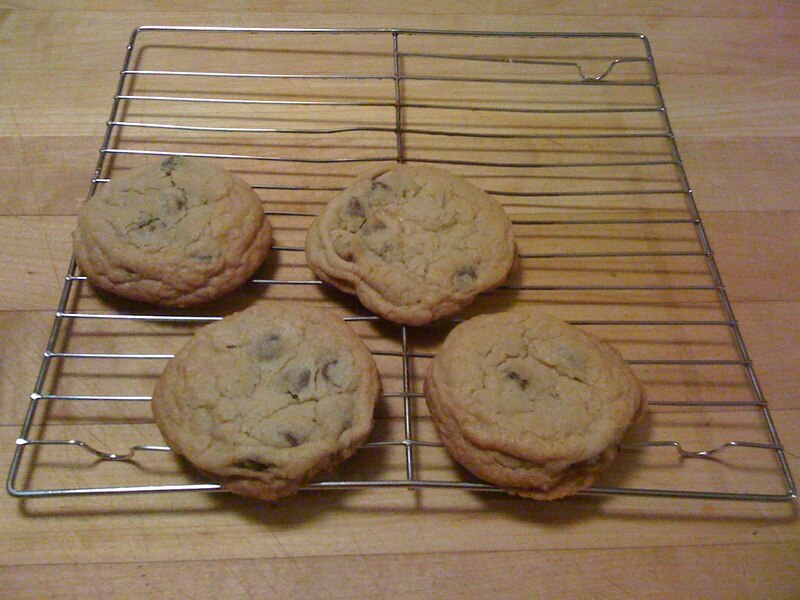 Even if the cookies look underdone when you pull them, another two minutes on a hot pan will finish them off nicely. As soon as the cookies are firm enough, transfer to a wire rack or paper towel to cool. 9. Pour yourself a glass of milk and enjoy! Can I say yum!! I'm making this the minute I'm off this plane! The trick is to take them out early FOR SURE. EXCELLENT!!! they look so tasty! gosh, ruthie – cookies just like your Ninong used to make :)the brown sugar is really key – it holds on to water much more than white sugar so the cookies stay moist inside even as they get crispy on the outside. Okay…time to try this CC cookie thing just one more time. I got on a kick to accomplish the perfect CC cookie after a dinner party with friends and all I came up with was flat CC cookies. I was devastated. I hope this works! 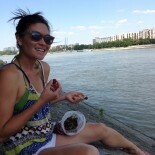 This entry was posted on July 8, 2010 by Ruthie in Uncategorized.